Our team is growing! 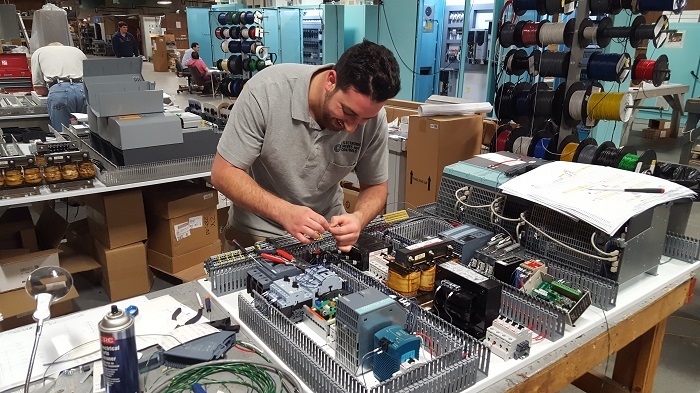 We would like to introduce a couple of new faces you will be seeing on the Systems Team at Electronic Drives and Controls (EDC). 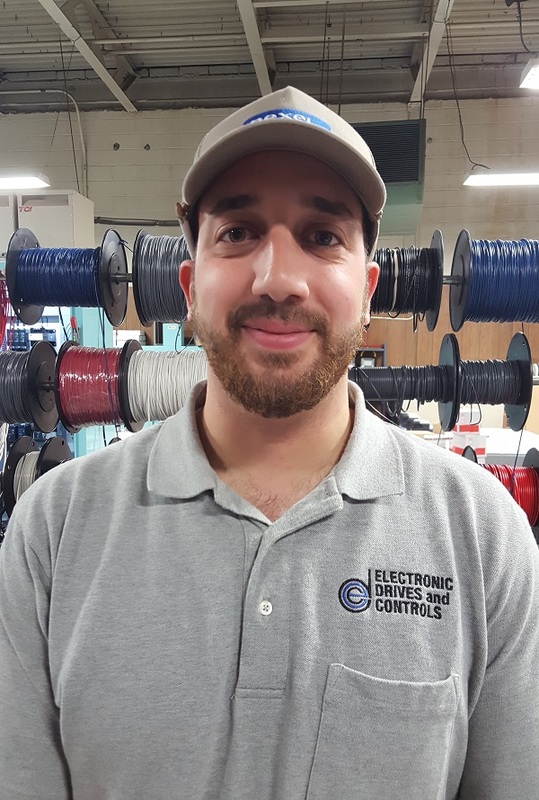 “We are very excited to have Tom Frangieh and Anthony Fasolo join the EDC team, both bring unique talents and skillsets which will help our team meet the ever expanding needs of our industrial automation customers,” said Chuck Dillard, vice president of engineering at EDC. Before coming to EDC, Tom was the warehouse manager for a technology company in Clifton, NJ. Tom attended Berkeley College in West Patterson, NJ where he received his bachelor’s degree in sports management. Tom at work on an EDC Systems project! Sports are a passion for Tom, who played goalie for his college soccer team for three years, and soccer, basketball and wrestling throughout high school. “Soccer was my main sport; I had the most fun with that,” he said. Aside from watching football, Tom also stays busy on the weekends working with his family’s Sparta, NJ-based business Fat Stevo’s Cheesesteaks. Although the restaurant has only been open for a couple of years, it has quickly gained a loyal customer following and garnered several awards. Fat Stevo’s was chosen by NJ.com as the #3 best cheesesteak in the state, and was recognized by Yelp as the #7 favorite place to eat around Jefferson. Anthony Fasolo is currently the newest member of the EDC team. Anthony is a project engineer and is working with Joe Maloney, Scott Pospishil, Zack Fischer, Joseph “Waldo” DeMartino and Antoinette Latella under the direction of engineering manager Shawn Leichliter. 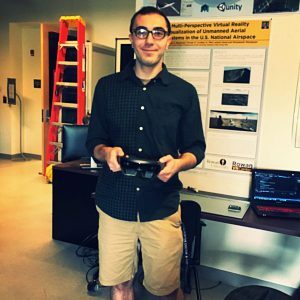 Anthony comes to EDC from Rowan University, where he was pursuing his master’s degree and working at the Rowan University Virtual Reality Center. Anthony had earlier graduated from Rowan with his bachelor’s degree in electrical and computer engineering with a minor in mathematics. While working at the Rowan University Virtual Reality Center as an undergraduate, Anthony was invited to enroll in graduate school, funded by the Center. 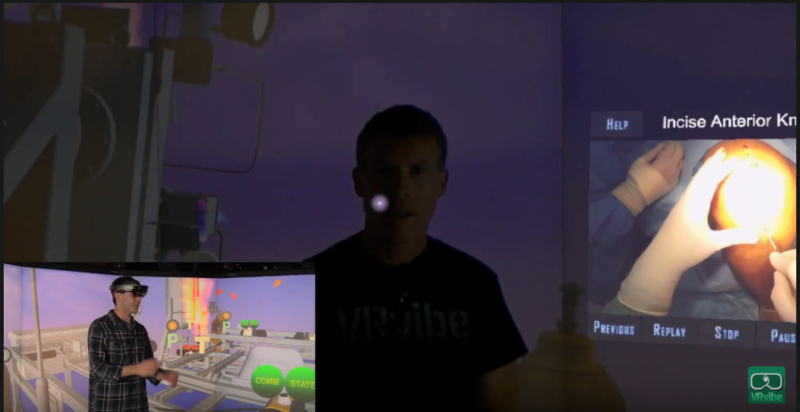 In his experience there, he worked with many higher-level computer programming languages such as C and C Sharp, and did a lot with visualization – virtual and augmented reality. Anthony’s favorite project while at the Virtual Reality Center was an application he developed for the Microsoft HoloLens, an augmented reality headset. The HoloLens allows programmers to overlay information on whatever the wearer is viewing in the real world. In his spare time, Anthony enjoys building hobby electronics. He also enjoys watching professional football and hockey, and his all-time favorite team is the New Jersey Devils.